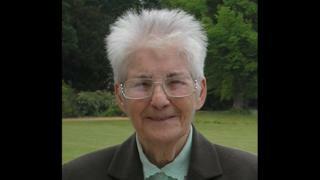 Joyce Frost, who appeared as the “Old Woman” on BBC Radio 2’s Steve Wright in the Afternoon, has died. Frost, from Dagenham, east London, died “peacefully and pain free” last week, Wright announced on his Wednesday show. The Old Woman, a regular on the show, discussed the news and once presented the “factoids” slot – listing quirky facts – with Hollywood star Will Smith. Wright praised her as “a complete natural on the air” and said she had been a “lovely, lovely person”. On Wednesday’s show, Wright told listeners she had been “very opinionated and witty” and always cheeky, funny and charming. 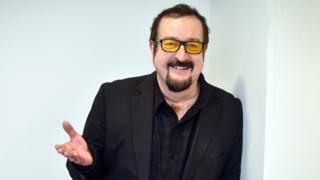 BBC Radio 2’s Steve Wright in the Afternoon aired its first episode in 1999 after moving over from BBC Radio 1. The three-hour programme regularly features characters including The Old Woman and Barry from Watford, as well as popular segment Ask Elvis. Frost had not done radio before the programme but Wright said she was “unbelievably professional” and never fazed by the big stars. The short biography of The Old Woman on Wright’s website gives little background information about Frost. “Details of her birth are shrouded in mystery – what is known is that she has embarked on a lifetime of study and contemplation, embracing a broad scope of social study such as knitting, bingo, boiled sweets and Friday Night Is Music Night on her favourite radio station,” it says. It adds Frost’s take on subjects such as “the UK garage scene, WAP phones and go-ped scooters” were particularly popular with listeners, “who know her to be a hip operator”.